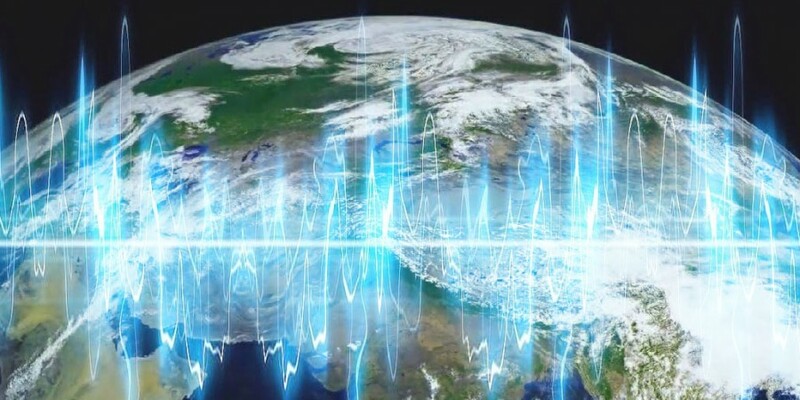 Mysterious Booms from 64 Locations Around the World this Year, What Could be Causing it? The service suggested that the sound was either caused by a sonic boom from aircraft, or a meteorite from the Leonid shower. Speaking to ABC 3340, Bill Cooke, head of Nasa’s Meteoroid Environment Office, said that the boom could have been caused by a supersonic aircraft, a ground explosion, or a bolide – a large meteor that explodes in the atmosphere unrelated to the Leonid shower. While the noise was picked up by the US Geological Survey, data suggests that the boom wasn’t the result of an earthquake. Residents’ theories ranged from a meteorite to a gas bottle explosion or military plane. A FA-18 Hornet plane was heard flying over Cairns the previous night, but no jets were flying on the night when the ‘explosion’ happened. Speaking to the Abergavenny Chronicle, one resident said: ‘It nearly gave me a heart attack it was that loud. At first I thought it was shotgun blast or a firework, but it was way too loud for that. It sounded more like a tank going off. Again, the source of the Welsh booms have remained unsolved. Footage showed a bright light in the sky over Inari in Finland – but the flash was so intense it was also seen in Russia’s Kola Peninsula and in northern Norway. Stargazers reported seeing the sky ‘light up like day’ for a few seconds alongside a loud noise as the space rock plummeted towards Earth. The loud bangs weren’t caused by the fireball hitting Earth, and instead were caused by the change in pressure as the meteor soared through the air. 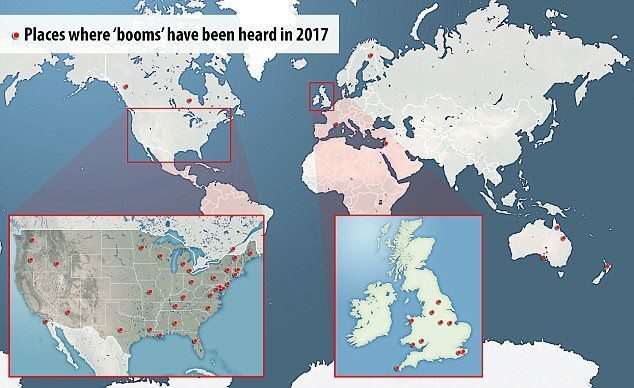 Mysterious booms have been reported 64 times this year, in locations including Michigan, Lapland, St Ives, Swansea and Yorkshire. Incidents are becoming more frequent according to some reports.